Nitrate Vulnerable Zones (NVZ's) and slurry storage. The European Commission (EC) nitrates directive requires areas of land that drain into waters polluted by nitrates to be designated as Nitrate Vulnerable Zones (NVZs). Farmers with land in NVZs have to follow mandatory rules to tackle nitrate loss from agriculture. NVZs now cover 62 per cent of England. • Long life span when designed, constructed and maintained correctly using high quality EPDM Rubber Geomembranes. 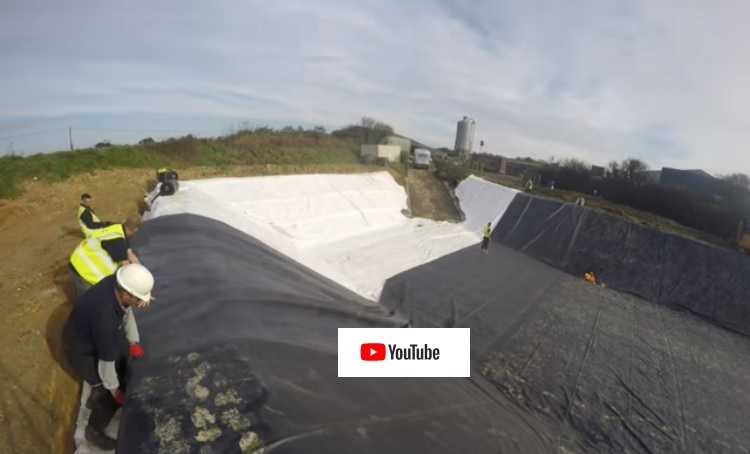 The video below shows a time lapse liner installation by our customer Turtle Productions Ltd. Here they are installing a 1mm EPDM rubber liner using Firestone Seaming System.